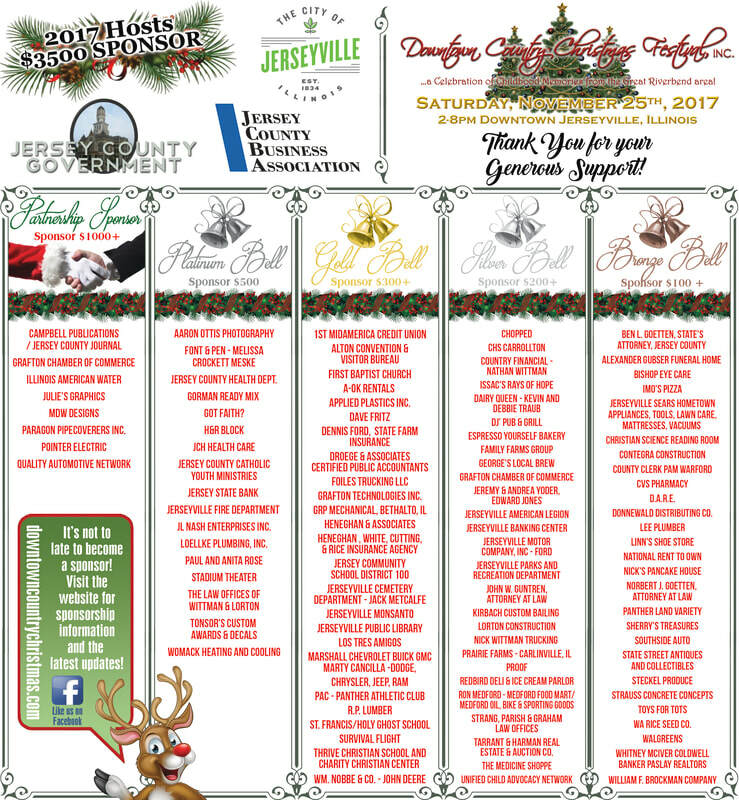 A community celebration welcoming our neighbors from near and far to join us in the sights and sounds of the Holidays in Historic Jerseyville, Jersey County, Illinois. Another Fantastic Free Event for the Community in 2018! Thank you to all who attended the 2018 Downtown Country Christmas Festival! This event was fully supported by the hard working community that it aims to serve. If you have a little extra to share this holiday season please make a donation to our organization. Every little bit helps to make this an event to remember for years to come. Merry Christmas to All! Thank you to all the 86 Jersey County Businesses that made this a possibility! 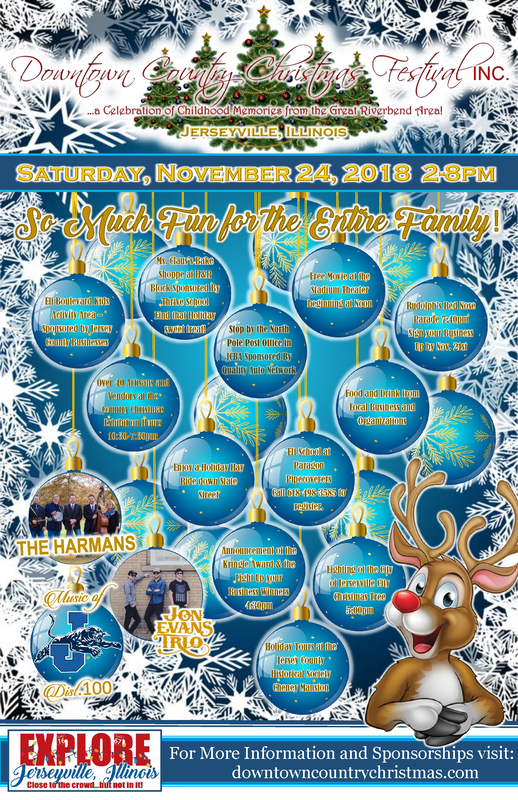 ...a Celebration of Childhood Memories from the Great Riverbend Area!